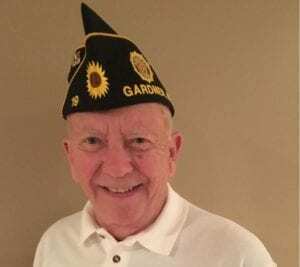 Dean Durow, Gardner, served in Vietnam from December 1963 until September 1967, as a Navy Corpsman. During the Vietnam era young men were conscripted into service. Commonly called “the draft,” young men registered with the Selective Service and were notified when they were conscripted to serve. “I was drafted in the Army,” Durow said, “But I enlisted in the Navy.” When drafted, you were sent where the Army chose, but by enlisting, servicemen had a greater choice. “When I went in it was the draft, and they would send you anywhere,” he said. 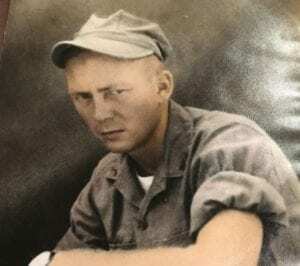 After enlisting, Durow was sent to boot camp in San Diego, and his first two years were spent at Camp Pendleton Hospital, Ocean Side, Calif.
“In October, 1965, I was transferred to the 3rd Marine Division and served in Vietnam from late 1965 thru December 1966,” he said. Durow said he began service in Chulai, before going to the DMZ. The demilitarized zone (DMZ) was near the former border between North and South Vietnam. “I started out in Chulai and walked most of the way up to the DMZ,” he said. “It’s quite a ways, probably 30 miles.” Except for where Agent Orange had burnt out the vegetation, the march was all jungle terrain. After Vietnam, he was transferred to the USS Yellowstone, Jacksonville, Fla., and then again transferred to the Naval Air Station, Sanford, Fla., where he was discharged in September, 1967. After service, Durow attended Kansas State Teachers College, now known as Emporia State University.